Hello! Who doesn't like a neutral nail color? Everyone does, because you can do different techniques to make them more exciting or you can paint the color on your pretty fingernails and call it good! 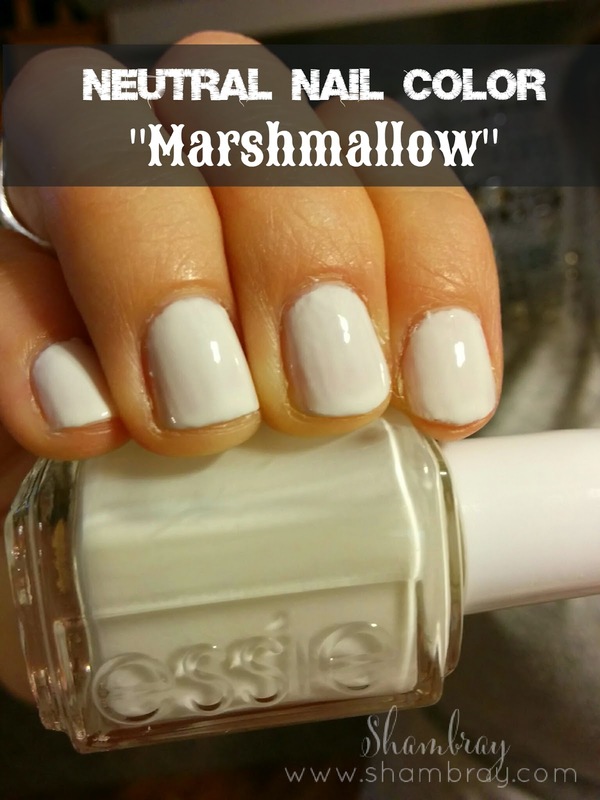 I found "Marshmallow" by Essie. It is a great color. In the coming months I will do different posts on how you can use it differently. I wore it plain this last week, but I like to spice things up sometimes. Keep on the look out for the coming posts! Happy Friday!!! !